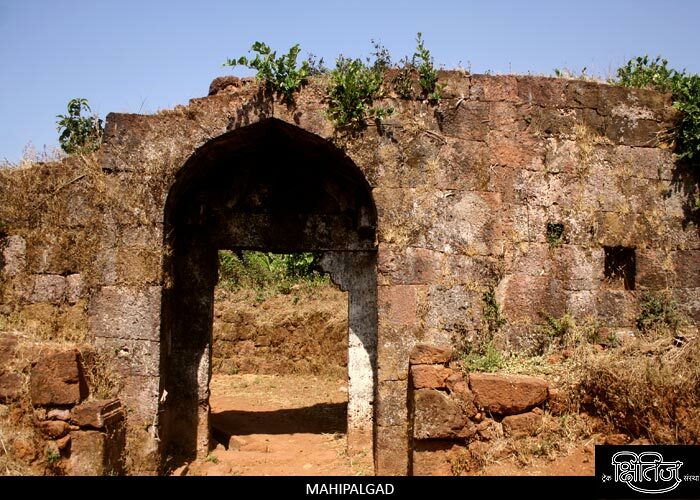 Mahipalgad is about 21 km northeast of Belgaum city, though it�s a part of Maharashtra. Very less is known about its history, but it�s said to be an ancient fort built by King named Mahipal. The temple of Vaijnath near the fort is ancient temple. It is fortified town on a mountain. It is said that in British India the government recommended people from Mahipalgad in the army. One can plan a trip to Vaijnath temple, Mahipalgad and Sundi waterfalls. One can either drive vehicle till the fort or hike directly to the fort from Dewarwadi town. If we take the road to the fort, we first reach the Vaijnath temple (not to be confused with Parali-Vaijanath in Maharashtra). It is an 11th century temple built in Hemadpanthi style, with a majestic Nandi in front of the temple. Adjacent to this is the temple of goddess �Aarogya Bhavani�. There is a sacred water cistern behind this temple. On the way to the fort, there is rock cut caves known as Mahipalgad caves. To see these, we need a good torch. Above these caves on the mountain cap, there is a military training camp ground. As we approach the fortified town, we come across the ruins of the fort. There is a magnificent statue of Shivaji Maharaj near the main entrance. We can see the complete fort in a couple of hours. If we go straight on the main lane, we reach the citadel of the fort. Inside this citadel is a big cistern, about 70 ft long and 40 ft wide. This is the main water source on this fort. Behind this cistern is the temple of goddess Ambabai. If we take a round along the edge of the mountain, we can see many dilapidated structures, most of them built with laterite stones. To the eastern point is a huge bastion, still intact. There is a Shiva temple near this bastion. As we roam within the community, we can see remnants like stone vessels for water in front of many houses. However, due to lack of support from community as well the government, the fort is not maintained properly. Dewarwadi is about 17 km from Belgaum, eastwards on SH 121. Buses ply from Belgaum to Dewarwadi as well as Mahipalgad. Sundi is 5 km away from Mahipalgad. Kolhapur is 125 km north of Mahipalgad, on NH4. Travel time - 2-3 hours from Kolhapur, 45 min from Belgaum. Hiking from Dewarwadi may take an hour or more.